Hello everyone! Snormax here once again, and after the reveal of Mega Sableye, I have been inspired with thinking about any possible Megas that they may introduce in Omega Ruby and Alpha Sapphire. With these thoughts, I have decided to illustrate my personal biggest hope for a new Mega, Mega Slaking. I will be also be including an analysis and the possible new ability, my ideas for stat increases and lastly, a set for the new Mega. Welcome back to Tactical Tuesdays, where we take a Pokemon every week and attempt to provide an in-depth competitive analysis of it. This week, we’re taking a look at Mega Charizard X. If you have any comments, questions, or requests, please leave them below. Why Are They Called “Omega Ruby” and “Alpha Sapphire”? We are all well aware Omega Ruby and Alpha Sapphire are on their way, but there is still one thing Pokéfans have overlooked: WHY is it called Omega Ruby and Alpha Sapphire?! These titles are no where near HeartGold, SoulSiver, X and Y. What is Satoshi Tajiri, Game Freak, and Nintendo up to? Today I’d like to discuss the possible reasons behind Ruby and Sapphire‘s re-release title. Hit the jump to unravel this mystery! This editorial is the first of it’s kind, you won’t see this information anywhere else! Hello PokéFans! My name is Max (Also known as Snormax) and I am a new author here at Pokémon Dungeon. I am excited for the opportunity to participate in the growth of this site along several others. With that, I will be doing a segment that I call “Farfetch’d Friday” in which I will be presenting Pokémon to you that I believe are overlooked in the competitive field and what they can bring to the table. I will be analyzing their type in its defensive and offensive use, its viable moves and items, and topping it off with my own personal set. 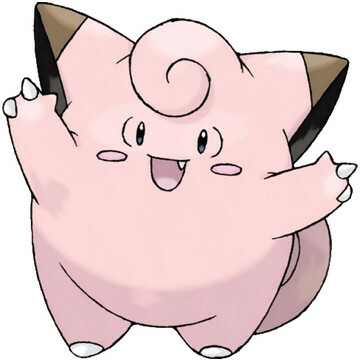 For this week, I will be doing a Pokémon that I love not just for its adorableness, but also for its pure strength – Cinccino. If you have any input on this cute little critter, let me know in the comment section below! Hey everybody…I’m BACK! After taking some time away from Pokemon Dungeon to deal with some real life Isshus (See what I did there) I am back and boy have my gears been grinding with some musical madness, hit the jump for more! This year during E3, Satora Iwata announced exciting Pokémon news within the Nintendo Direct broadcast on June 11, 2013. The new Pokémon type, known as “Fairy” was finally released, and since then ten (eleven including Arceus) Pokémon have been confirmed to be classified as this new type of Pokémon. Based off what we already know, I have created a list of Pokémon who could/are confirmed as Fairy type, check it out! Hello PD, Olivia here! Instead of worrying about Pokémon X and Y for a moment, let’s take a look at a different series: Super Smash Bros! It maybe early for predictions but E3 is coming up soon so I don’t think it’s too early to be excited. In case you did not know, Super Smash Bros is an action-packed game with all of Nintendo’s big characters together. Pokémon have always had a significant role in the Super Smash games because due to the success and popularity of Pokémon. Hit the jump to check out my predictions about Pokémon in the upcoming Super Smash game! Hey Pokefans, Olivia here, today I’d like to share my first top 10 article featuring annoying Pokemon. Every gamer has their pet peeves when it comes to video games. In this post I’d like to just focus on a few selected Pokemon that are recognized as being especially annoying or quirky. When it comes to Pokemon, there are more than enough of them to talk about. Hit the jump to check the list! !Quick Attacks! Pokemon Smash’s Info!? Last week, I found a stream of Pokemon Smash. This week, I found it again. By the same streamer as last week. I’ll embed the video here for convenience. If you need a time converter, the show starts in 7:30AM JST. Answering the Unown Fainted…Josh used one Max Revive! Okay guys it’s been a while and I feel as if we have fallen out of touch as a community so I thought what better way to bring back the old Pokemon Dungeon community spirit than by bringing back the old PD community mailbag. We never left, the Unown were keeping us busy, so we listened to them. See inside the post for all the details. It’s also Very Important.